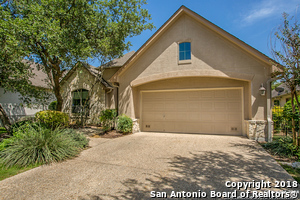 All ROSEHEART homes currently listed for sale in San Antonio as of 04/22/2019 are shown below. You can change the search criteria at any time by pressing the 'Change Search' button below. 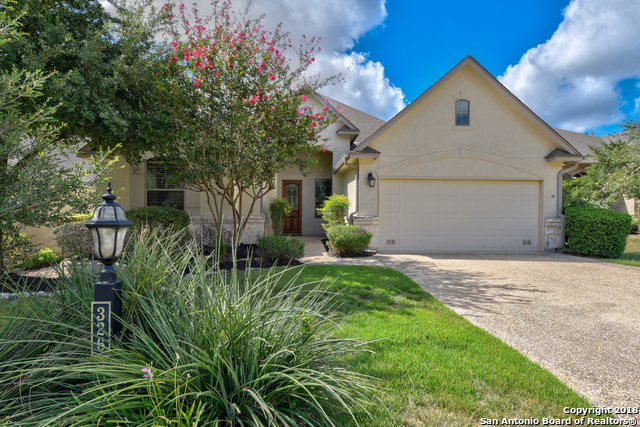 "*HOME IS VACANT* Former Sitterle model with decked out options! Large & open plan with formal dining, spacious living area open to the breakfast nook & well equipped kitchen with Silestone counters & built-in appliances. Private master with a huge walk-in closet & elegant bath. Plus outside access to the covered patio and backyard pool. Complete with a sprinkler & alarm system. *CARPET INSTALLED AUGUST 2018* $2,500 ALLOWABLE FOR MASTER BATH DOORS"
"Fabulous curb appeal on turn-key in gated community. High ceilings, open concept, recessed lighting & hard surface flring in most of main living areas. Liv rm showcases corner gas firepl w/art niche, low hanging ceiling fan & warm laminate wood flooring that flows into kit & dining areas. Spacious islnd kit waiting for you to prepare your favorite meals. Built-in oven, recent cooktop & yards of counter space. Mstr has generous walk-in shower w/grab bars & soaking tub. Back porch perfect for rela"